Brand New Construction located in Fox Crossing. Split bedroom ranch with 1650+/- square feet. 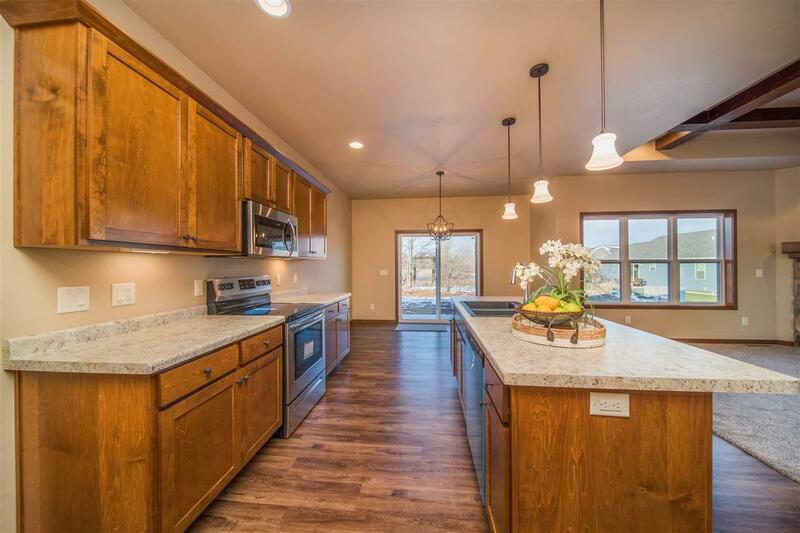 Open concept floor plan is sure to please. Living room with coffered ceiling and gas fp. 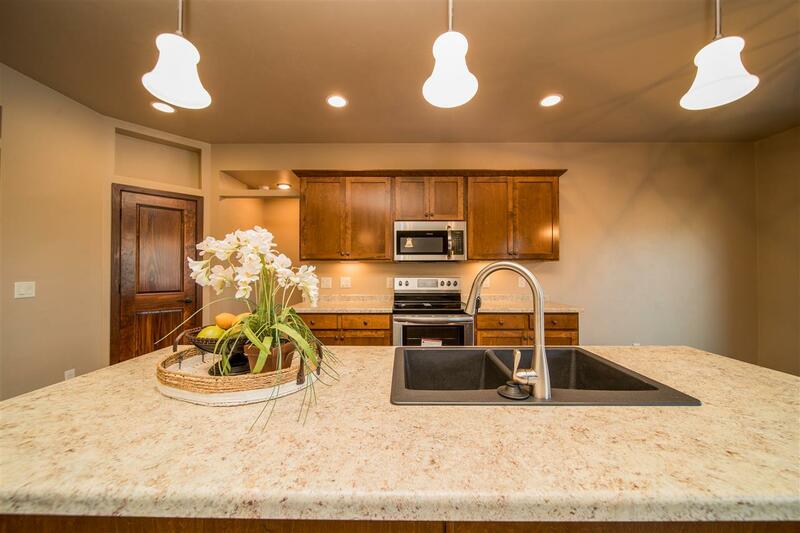 Spacious kitchen with tons of cabinetry, pantry and granite countertops. 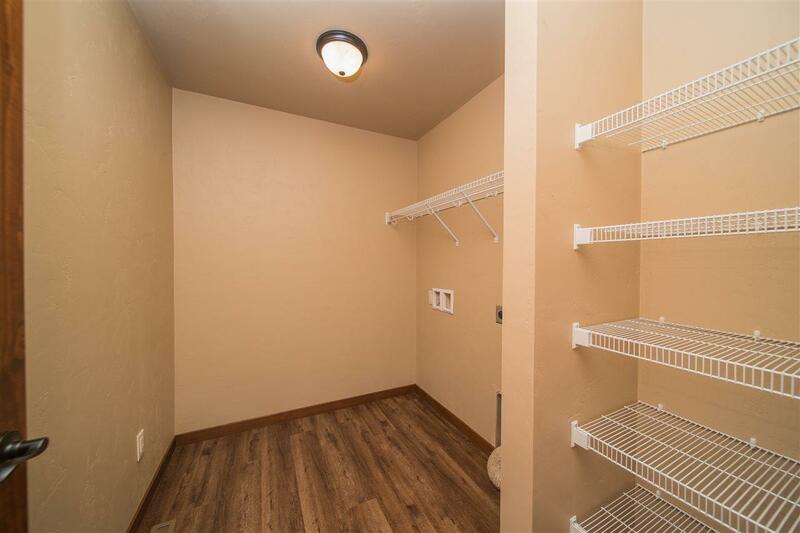 Master bedroom has tray ceiling, walk-in closet, 2 sinks in bathroom and walk-in shower. Two additional bdms and a full bath. Back entrance offers a drop station and main floor laundry. Garage basement stairway. Attached 3 car garage and much more. 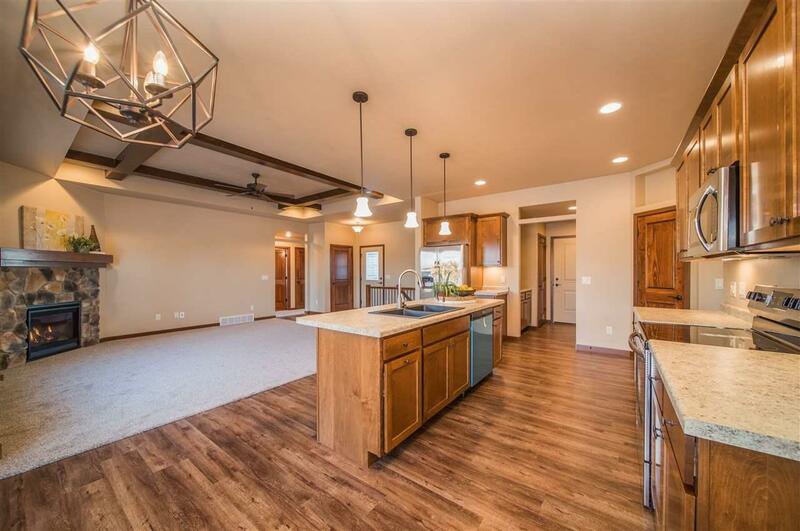 Similar home photos. Complete 4/30/2019.